On saturday night we had the pleasure of attending The Nutcracker for the first time and now I am on a total ballet kick. The music, the twirls, the costumes, I love it all. Though I am completely tempted, I promise not to have any "tutu moments" in the near future because lets be honest, unless you are Carrie Bradshaw or a prima ballerina, it just doesn't work. So, instead I might don some pretty ballet flats and do a few twirls a la Sugar Plum Fairy and call it a day. Here is a roundup of some fashionable contenders. Happy Monday! Hey Erin! I found your blog through Style Me Pretty and started my own blog just a few days ago. I had to laugh when I saw this post because I literally saved that picture of the J. Crew ankle-tie ballet flats in a folder yesterday for a "ballet inspired fashion" post! :P I will definitely link to this post of yours when I write it! mmm. i love ballet and miss being a ballerina. 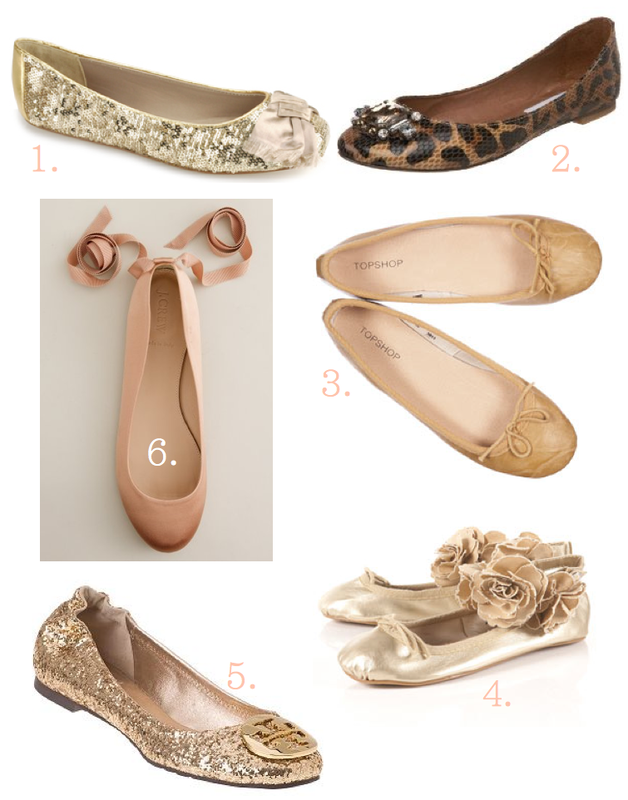 i'm loving the j.crew flats and the tory burch flats, of course. check out repetto and bloch shoes too! Agreed - those j. crew flats are fantastic. This and seeing Black Swan make me miss my bunhead days. Strange considering Black Swan was terrifying! Love the JCREW tie up ballet flats, I want them soooo badly. I love the ballet trend that is emerging at the moment. It takes me back to my dance classes as a 4 year old! I love the J Crew flats - so cute. I just found your blog and I am in love. You have a new follower in me. P.S. Stop by my blog and enter the amazing EmersonMade giveaway, just in time for the holidays. I hear ya about the ballet kick, all of my girlfriends dance everyday at some of the local studios and I ended up getting wrapped into it.. And hey, not even Carrie could pull off that that ballerina outfit. The Nutcracker dresses above kind of remind me of the scene in Devil Wears Prada where she's saying it needs a belt? Ha, adorable.